This is the 4th year of collaboration between Visualcontainer and University of Oradea –Faculty of Arts, Department of VisualArts + The Muzeul Ţării Crişurilor. Liquid Image will be present on july at [.BOX] videoart project space based in Milan and on visualcontainerTV international videoart webchannel for all worldwide audiences. 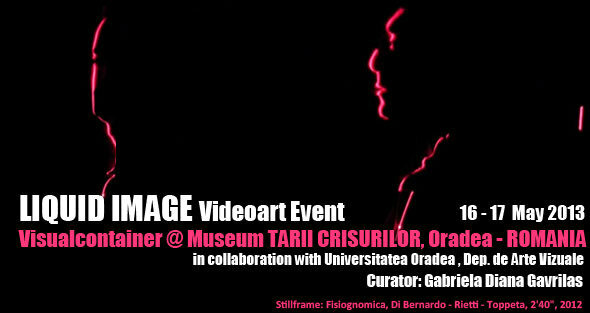 Curator: Gabriela Diana Gavrilaş – Director departament Arte Vizuale /Conf.univ.